Rugby union footballer who played for teams like Gloucester and England Saxons, and played in the Rugby World Cup. He studied Modern Languages at Brasenose College, Oxford. His English debut was delayed after he was forced to pull out due to illness, preventing him from playing his first Test in Bloemfontein. He and Kate Wood were married in July 2010. 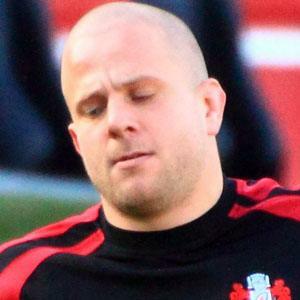 He and Mike Tindall have both spent parts of their careers playing for Gloucester.